I love pasta salads. They are yummy, easy, filling and so versatile! They keep well in the fridge and make an amazing office lunch! Remember this one, this one and this one. So today we are making another one and we will be using the vegan tartar sauce we made last week. You can have this dish as a salad or as main. I dedicate this post to our dear sister, Sophia and I would like to thank her for the dishes she bought me. She certainly knows how to please a food blogger! Thank you, honey! We love you! Cook pasta according to package instructions. Cook peas and corn. 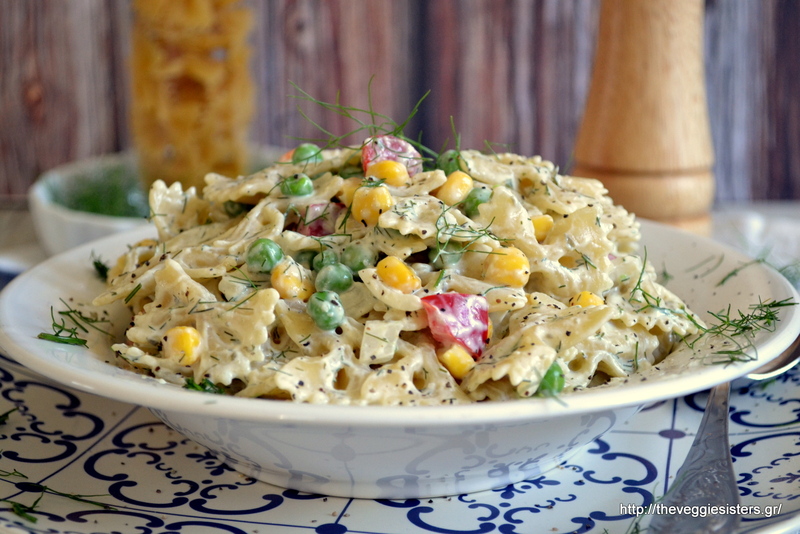 In a big bowl combine veggies and drained pasta. Pour the sauce. Stir to combine. It is delicious served cold or warm! Keeps well in the fridge. Enjoy! 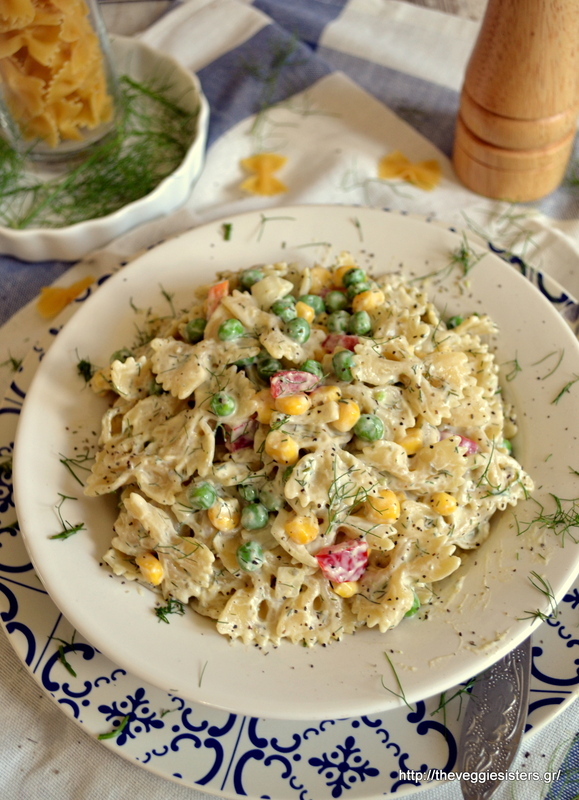 Share the post "Cold pasta salad"